When I shared the first story that came to mind of feeling deeply “unwelcome”, my shoulders felt heavy and my eyes lowered to the ground. “We’re doing that one,” a new friend next to me replied, their voice gentle with compassion for my sadness and anger for my pain. “We’ll make it better this time.” I looked up; everyone in our group, locking eyes with one another, nodded. We were a small group of five participating in APIENC’s larger summer Leadership Exchange, immersed in an hour-long workshop on “radical welcome”, a core APIENC practice that asserts that, in the spaces we make, we all belong, that we deserve to feel wanted, and safe, worth supporting and worth holding onto, and that we have the power to help others feel cared for and held. Prior to that weekend, the five of us hadn’t met yet. That weekend, we sat together and invited each other to step into some of our most joyful and most challenging memories, seeking to understand, together, how we could transform them into healing and action for the future. Following our friends in other groups, we walked through a short skit that mimicked that old memory of mine, and I felt myself tremble, reliving this with others. We then performed another iteration of that same moment, but transformed it into a radically-welcoming version, nurtured by the training we received and the deep kindness cocooning the room around us. These feelings of challenging myself to build trust with folks I hadn’t met before (and finding that challenge becoming easier, and easier), of participating in groups eager to reflect on how our own growth journeys help grow our movement spaces, and of learning and practicing to build rooms, moments, and relationships that nurture the sense of belonging of everyone involved; these were present for me at each turn this summer, guiding me gently. 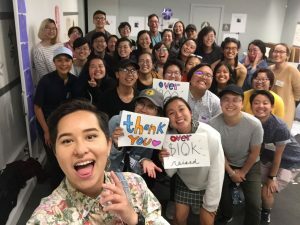 Image description: group selfie of 30+ volunteers, supporters, friends and summer organizers at the 2018 Summer Organizer Graduation. Julie holds up sign that reads “thank you”. Paige holds up sign that reads “over $10k raised”. 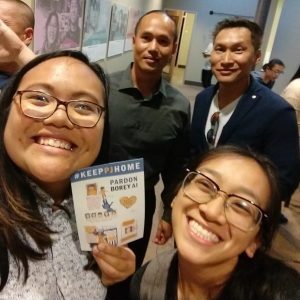 As an APIENC summer organizer, my core responsibilities included reviewing and strengthening APIENC’s volunteer engagement system, with the goals of being able to better onboard folks new to APIENC and support our community members’ personal development and growth as organizers. 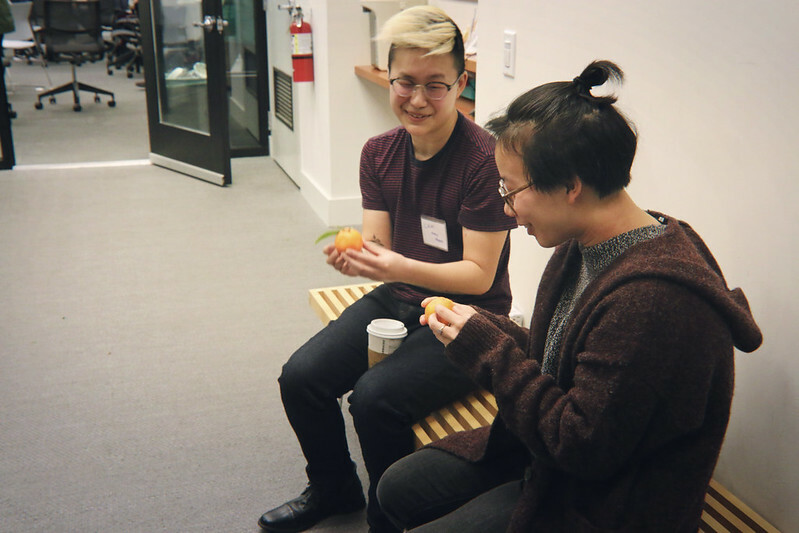 I learned that the past two years had been full of challenges for the APIENC community, as more and more folks reached out to APIENC to find more supportive, loving, and safer connections with other queer and trans API folks. APIENC itself has started to imagine how to shift some of its capacity from collecting intergenerational oral history through the Dragon Fruit Project towards building a network of care through the Dragon Fruit Network. 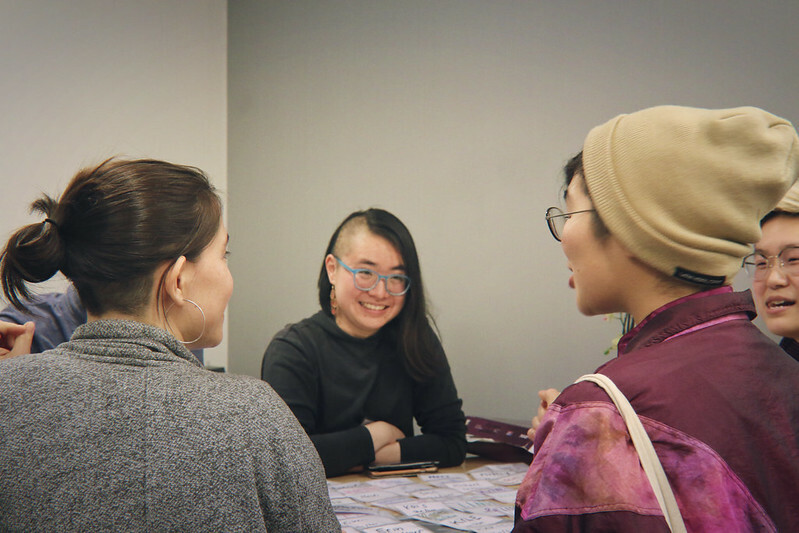 It is so critical, especially for our communities, to intentionally create room for folks who are newer to voice why they’re here, what they’re looking for, and where they come from. For me, having been born in nearby Fremont but having spent most of my life in New Jersey and New York, this meant reaching out to a community of folks I hadn’t had the chance to meet before, holding the hope of growing with each other and trusting that we had each come to APIENC in search of a space and learning from each person’s deep wisdoms, and building relationships with each other that are rooted in kindness and hope. I’m so thankful for the many meals, time in the sun, gentle walks and sits, and bubble tea (so much…bubble tea…) we shared! One new friend I spoke to shared how, after recently moving to the United States with very few friends in the Bay and struggling with feelings of isolation and separation from their home, they felt such joy at their first APIENC event, gardening with others at Spiral Garden in Berkeley; they laughed, their eyes full of sunlight, as they remembered the feelings of digging their hands gently into soil, recalling that, even with the language barrier, they felt deeply connected, and hopeful about their future in the Bay. These eight weeks were not always easy, not for me or for any of us. I struggled with my mental health, with balancing work and devoting time to rest myself.t times there were deep-rooted fears surrounding my gender identity and expression. 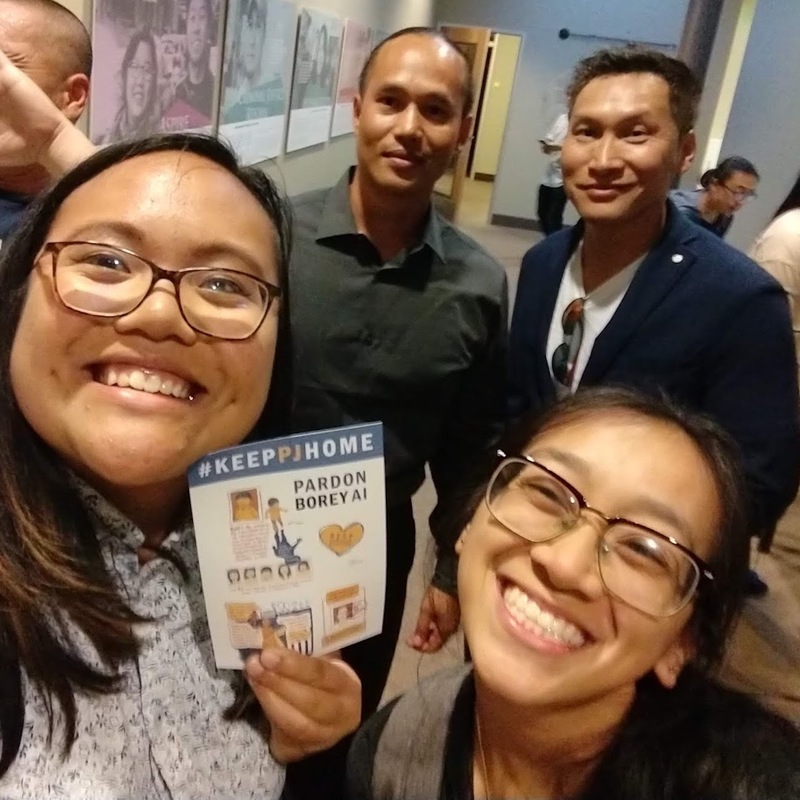 Friends among us in our community faced challenges with housing and food security, with ICE and the effects of incarceration (#KeepPJHome! ), with isolation, and with so much more. I want to hold onto and continue reflecting on it all. I want to remember having a homemade lunch in the afternoon sun with MLin, being a silly tender bun with Sammie, listening to the other summer organizers in the office talking, laughing, and being, standing in a circle with the LEX family and watching as we poured vinegar into each others’ jars and speaking our intentions into existence, and I couldn’t help but smile, seeing the joy in the rooms we created, together. I feel such a deep spring of hope now, just knowing that these folks, that you, exist, and are here. So much is only possible because we are. Image description: group selfie of smiling participants of APIENC’s Leadership Exchange. 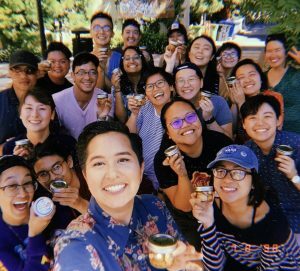 Folx are holding mason jars full of burdock and vinegar. On one sunny day in July, twenty lovely humans who were part of APIENC’s Summer Leadership Exchange gather in a circle outside the UC Berkeley Ethnic Studies Library. In each of our palms, we hold small glass mason jars filled with slices of burdock–a medicinal root. We had collectively sliced the burdock just a few minutes ago using shared knives and cutting boards. We begin to pass around a large bottle of apple cider vinegar, each person in the circle placing their jar of burdock on the ground so that they can pour vinegar for the person next to them. We pour enough into each other’s jars to submerge the burdock completely. As we pour, we each state a personal intention that we hope to enact outside of the space. We repeat the process until each person holds a jar of vinegary burdock; a month from now, we’ll individually open our respective jars and be greeted with herbal vinegar. This collective experience of creating medicine, from the cutting and feeling, to the tasting and pouring, exemplifies the deep feeling of interconnectedness that APIENC cultivates. 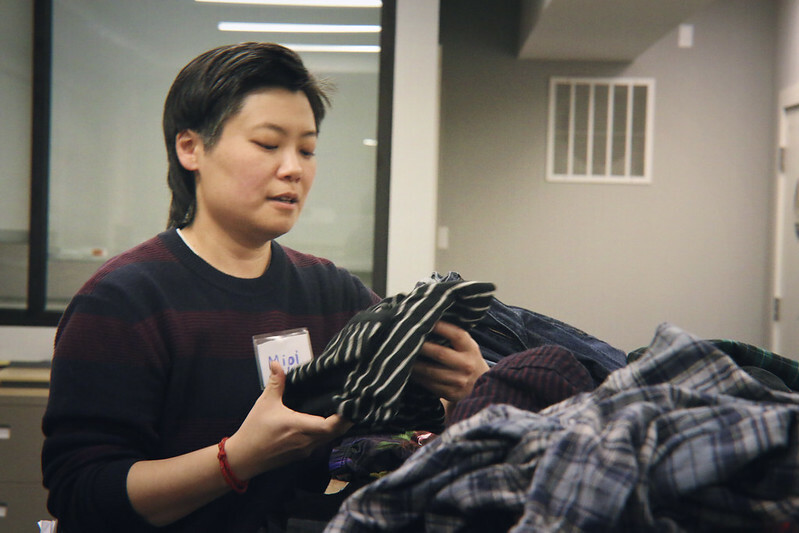 To me, community organizing is about learning skills and tools for personal and collective healing. It’s about being in dialogue with yourself and others about how to transform harmful conditions and build worlds where we can exist fully and thrive unapologetically. 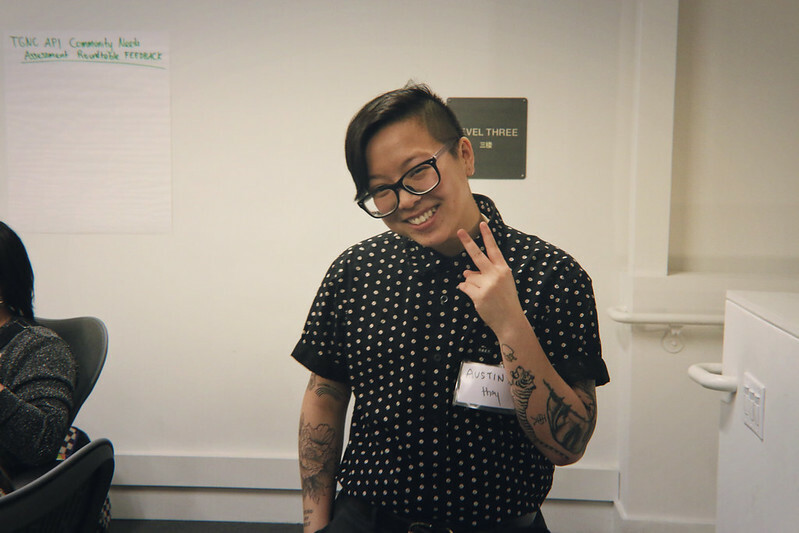 I kept this in mind as I worked as a Joint Summer Organizer with Asian Prisoner Support Committee to mobilize against the prison-industrial complex through re-entry support, educational materials, and community events. As the summer began, I quickly realized that I had been neglecting personal healing throughout my organizing experiences in college even as I passionately advocated for collective healing. I accepted that I needed to listen to what my body and heart needed at this point in my life. This summer was a major period of transition for me as I entered post-college life and moved to the Bay Area. I came into APIENC not only as a Summer Organizer, but also as a person searching for QTAPI community. In order to sustain my activism and organizing, I needed to find a space of healing and rejuvenation that would help nourish my tired student activist soul. During my summer at APIENC, I was encouraged to not hide behind productivity. I was pushed to take time to truly build trust and deep, vulnerable relationships. I engaged in difficult conversations and experienced moments of discomfort. I experienced movement-building in so many ways, from sharing stories with other APIENC summer team folx, to chanting at the top of my lungs at Trans March, to mobilizing people to #KeepPJHome. I was reminded about the critical need to donate time, energy, and financial resources to grassroots and community-based organizations to sustain our struggle towards liberation. 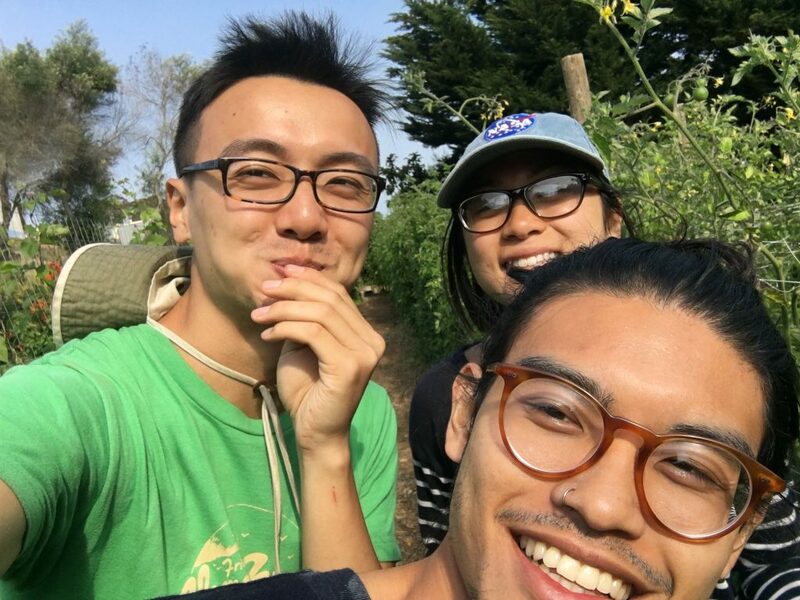 Moving beyond this summer, I hope to continue building QTAPI power and community in the Bay by remaining an active APIENC member. 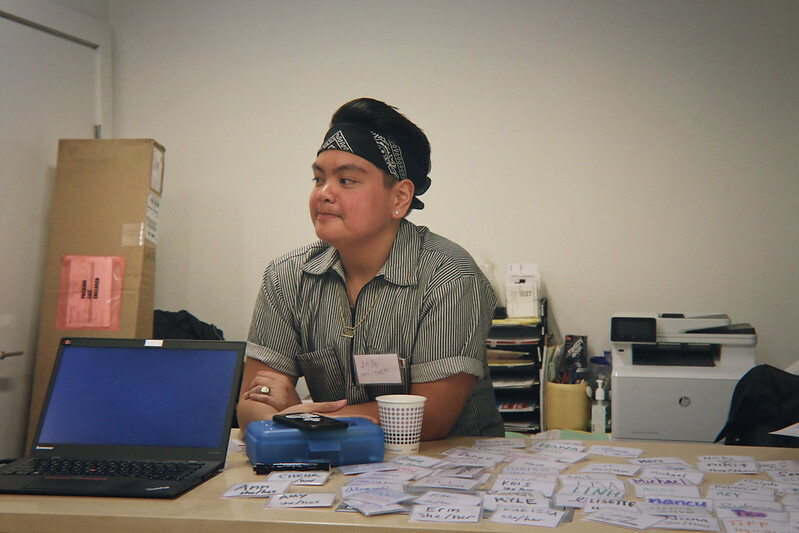 I’m also working to intentionally prioritize my creative organizing work by doing things like facilitating filmmaking and storytelling workshops for Southeast Asian youth from Oakland. As I continue my activism in the Bay, I’m building upon legacies and generations of people whom I’m currently surrounded by, as well as those who have come before me. I also hope to continue fighting for the accessibility, visibility, and safety of QTAPI and QTPOC spaces outside major metropolitan areas. I’m particularly thinking about the community I come from and grew up in, the Inland Empire in Southern California. I’m so grateful that I found my way to APIENC, and I’m constantly thinking about folx who have little to no networks of community support that run as deep and strong as APIENC. While my Summer Organizer experience at APIENC has concluded, I will still be around to power our work. To everyone who was a part of my summer experience, thank you for reminding me to be tender and for challenging me to prioritize abundance over scarcity. I appreciate each of you so much for holding me as I learn and grow with patience and kindness. 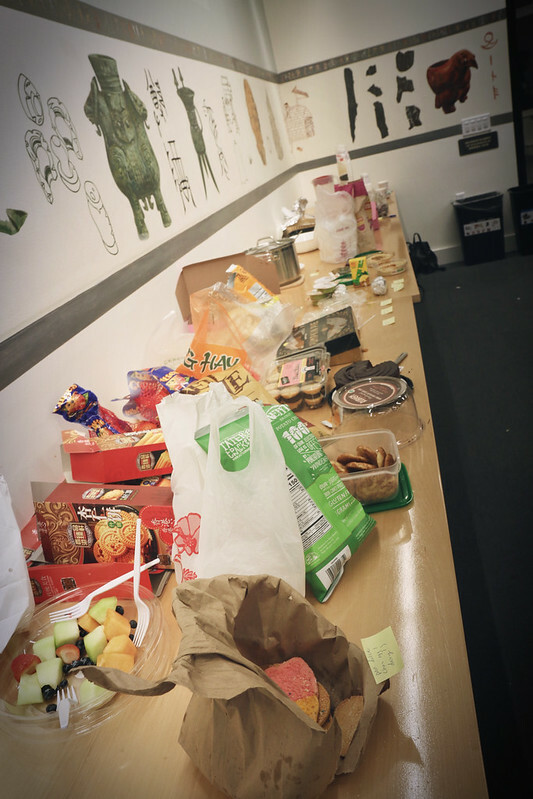 This entry was posted in Blog, frontpage, Leadership Development by API Equality. Bookmark the permalink.